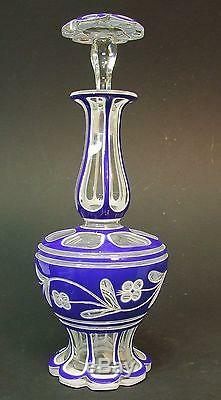 Blue, White Cut to Clear Glass Bohemian Decanter. 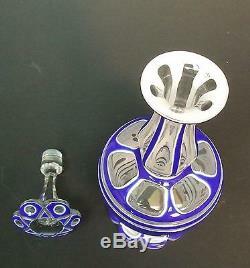 This is a most unusual piece. 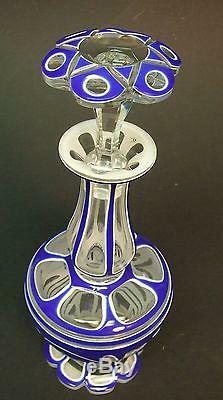 Great for blue & white collectors! 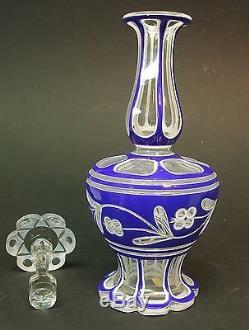 The item "Blue, White Cut to Clear Glass Bohemian Decanter 12 3/4 Tall" is in sale since Sunday, December 27, 2015. 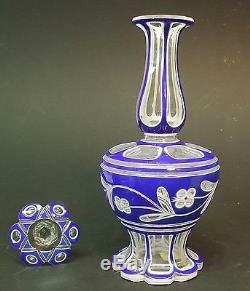 This item is in the category "Pottery & Glass\Glass\Art Glass\Bohemian, Czech\Other Bohemian/Czech Art Glass". The seller is "fount7" and is located in Joplin, Missouri. This item can be shipped to United States, to Canada, to United Kingdom, DK, RO, SK, BG, CZ, FI, HU, LV, LT, MT, EE, to Australia, GR, PT, CY, SI, to Japan, to China, SE, KR, ID, to Taiwan, ZA, TH, to Belgium, to France, to Hong Kong, to Ireland, to Netherlands, PL, to Spain, to Italy, to Germany, to Austria, RU, IL, to Mexico, to New Zealand, SG, to Switzerland, NO, SA, UA, AE, QA, KW, BH, HR, MY, TR, BR, CL, CO, CR, DO, PA, TT, GT, SV, HN, JM.